A doctor who was struck off over the death of a six-year-old boy has won her appeal to practise medicine again. Dr Hadiza Bawa-Garba was convicted of manslaughter by gross negligence in 2015 over the death of Jack Adcock, who died of sepsis at Leicester Royal Infirmary in 2011. She was struck off in January 2018. Speaking after the appeal, the doctor said she was “pleased with the outcome” but wanted to “pay tribute and remember Jack Adcock, a wonderful little boy”. Jack’s mother, Nicola Adcock, said she was “disgusted” and “devastated” by the judgement and that it made a “mockery of the justice system”. Dr Bawa-Garba told BBC’s Panorama: “I want to let the parents know that I’m sorry for my role in what has happened to Jack. The doctor’s appeal was funded by medics because they said the ruling would discourage practitioners from being open when reviewing mistakes. Jack, who had Down’s syndrome and a heart condition, had been admitted to the hospital in Leicester with vomiting and diarrhoea in 2011. He died 11 hours later from a cardiac arrest caused by sepsis triggered by pneumonia. The subsequent trial in 2015 heard the boy’s death was caused by “serious neglect” by staff who failed to recognise his body was “shutting down” and close to death, the prosecution claimed. At one point, Dr Bawa-Garba mistook Jack for another patient who had a do not resuscitate order, the court was told. The paediatric specialist only resumed treatment when a junior doctor pointed out the error, although the prosecution accepted Jack had already been “past the point of no return”. Dr Bawa-Garba said in her defence she had worked a 12-hour shift with no break and there was a lot of miscommunication in the ward. Dr Bawa-Garba was suspended from the medical register for a year in June 2017. However, the General Medical Council (GMC) appealed against the decision claiming it was “not sufficient to protect the public” and she was struck off in January 2018. Thousands of doctors signed an open letter of support for Dr Bawa-Garba stating the case would “lessen our chances of preventing a similar death”. Earlier, three senior judges quashed the High Court’s decision and restored the lesser sanction of a one-year suspension. Master of the Rolls Sir Terence Etherton, who announced the ruling, said “no concerns” had “ever been raised about the clinical competence of Dr Bawa-Garba, other than in relation to Jack’s death”. “The evidence before the tribunal was that she was in the top third of her specialist trainee cohort,” he said. He added that the tribunal was satisfied her actions in relation to the boy were “neither deliberate nor reckless”, and did “not present a continuing risk to patients”. However, Mrs Adcock said the ruling would cause people to lose “faith and trust” in the NHS, adding she would “never forgive” Dr Bawa-Garba and that she was considering appealing against the decision. Charlie Massey, chief executive of the GMC, fully accepted the Court of Appeal’s judgement. Mr Massey added the case had “exposed a raft of concerns” around the role of criminal law in medicine and the GMC had commissioned an independent review as a consequence. “Doctors have rightly challenged us to speak out more forcefully to support those practising in pressured environments, and that is what we are increasing our efforts to do,” he said. Dr Samantha Batt-Rawden, chair of the Doctors’ Association UK, said the decision was a “small step in the right direction for patients and doctors”. “We need to make sure that patients and families get the answers they need through open and transparent engagement with NHS organisations,” she said. Dr Chandra Kanneganti, chair of the British International Doctors’ Association (BIDA), said the GMC had been wrong in taking the case to court and it was not right to “scapegoat one doctor for failures in the system”. 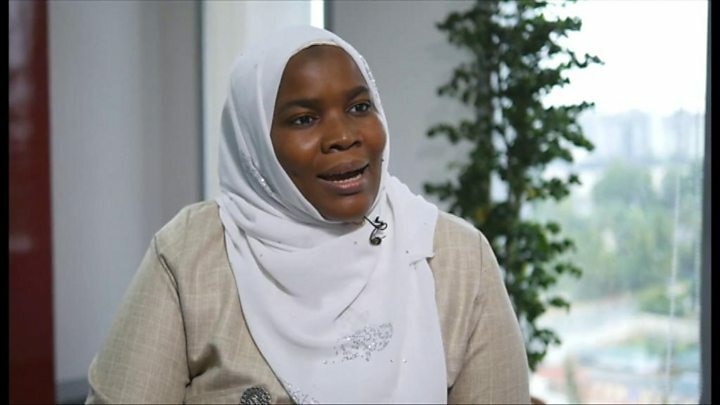 A full interview with Dr Hadiza Bawa-Garba featured in Panorama: Doctors on Trial.